Efficient public procurement is key to facilitating government investments in infrastructure, health, education, and other public services, but in many countries public procurement is often plagued by corruption and waste. Researchers offered procurement officers performance pay and greater autonomy in purchasing decisions to evaluate the impact of incentives on leakages and corruption in public procurement in Pakistan. Public procurement systems are essential in facilitating government investments in infrastructure, health, education, and other public services. In developing countries, high rates of corruption and leakage may lower the efficiency of government procurement, potentially reducing the value generated by money spent. This, in turn, could undermine government efforts to improve citizens’ living standards. Changing procurement officials’ incentives to reward good performance could potentially help address these problems, yet there is limited evidence on how bureaucrats respond to incentives that target reductions in corruption and leakages and whether they are effective. Furthermore, to date there have been few robust measures of public procurement efficiency, making it difficult to determine the magnitude of public money lost to corruption and leakage. In Punjab, Drawing and Disbursing Officers (DDOs) have the authority to make procurement purchases. Managers judge DDOs’ performance on compliance with procedural rules and regulations rather than value for money in procurement purchases. In addition to DDOs, the procurement system involves the state’s health, communication and works, education, and agriculture line departments, as well as several oversight departments including the procurement regulatory authority, the finance department, the planning and development department, and the office of the accountant general. The first received financial bonuses for good procurement performance based on the quality of goods purchased relative to the price paid. The bonuses ranged from zero to two times a DDO’s monthly salary. The second received more power to exercise discretion to achieve better value for money through three policy changes: a larger cash-in-hand budget to make cash payments to suppliers without pre-approval, a simpler and more predictable pre-audit procedure, and a procurement budget released in two disbursements rather than the usual four. The third received both the performance pay and the higher levels of purchasing discretion. To measure the value and quality of goods purchased, researchers have set up a mechanism to collect extremely detailed data on the goods being purchased including indicators for the quality of generic goods and compare the prices different procurement officers pay for similar quality goods. For example, researchers can produce a measure of value for money by examining the gravel purchased by different procurement officers and comparing their prices by quality. To collect this data, the researchers rely to two methods. First, researchers have designed and managed an MIS called the Punjab Online Procurement System (POPS). After completing POPS training in September 2014, DDOs have started to enter the details of every procurement purchase into the system. To measure the any misreporting on the quality and cost of goods, researchers perform spot checks on goods purchased to compare the details of the actual goods purchased with the corresponding entries in the POPS portal. Second, for those DDOs unable to use POPs, researchers conduct detailed surveys to gather data from all accounting documents and invoices, and by observing the items purchased. Additionally, researchers surveyed DDOs in February and July 2015 to gather feedback on the POPS portal and treatments, general opinions on procurement, and to measure characteristics of the government agencies. 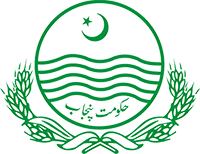 1 Bureau of Statistics: Government of the Punjab Lahore. 2012. Statistical Pocket Book of the Punjab. Lahore.